The Mazda CX-9 is a full-sized crossover available for Schaumburg and Bloomingdale drivers that need more style and utility than a minivan. Awarded the 2008 Motor Trend “Sport Utility of the Year” award and winner of a 2014 KBB “5-Year Cost to Own” award, the Mazda CX-9 is a budget-friendly SUV that offers buyers ample features for a competitive price. 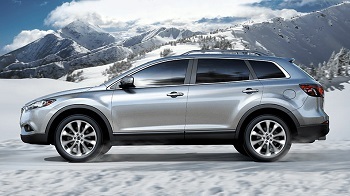 Engine – The Mazda CX-9 is equipped with the capable 3.7L V6 engine capable of 273 hp and 270 lb-ft of torque. Available with FWD or with available active torque split AWD, every Mazda CX-9 motor is paired with a 6-speed automatic transmission. Interior – Drivers enjoy standard three zone climate control, remote keyless entry with retractable key, available 8-way adjustable driver’s seat, 4-way adjustable front passenger seat, and optional heated front seats, as well as 60/40 split folding 2nd row seats with tilt and slide feature. 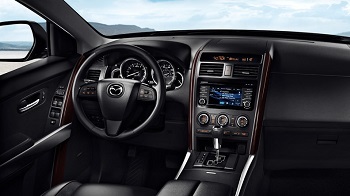 Technology – The Mazda CX-9 delivers convenient infotainment features thanks to the 5.8” color touchscreen interface with HD radio and Pandora connectivity, SiriusXM compatibility, and Bluetooth hands-free connectivity and audio streaming. 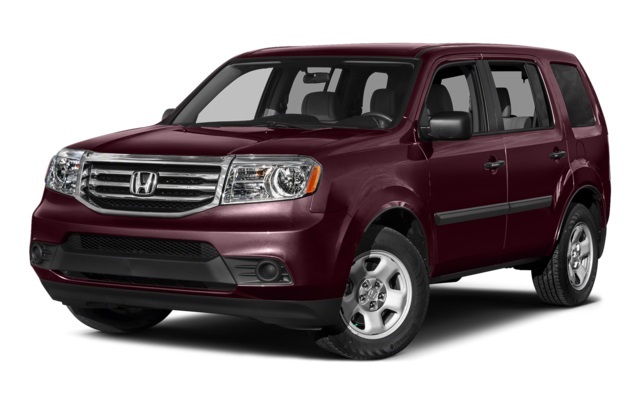 Safety – This popular SUV is equipped with standard advanced front air bags, front side-impact air bags, side-impact air curtains, Dynamic Stability Control (DSC) and Roll Stability Control (RSC). 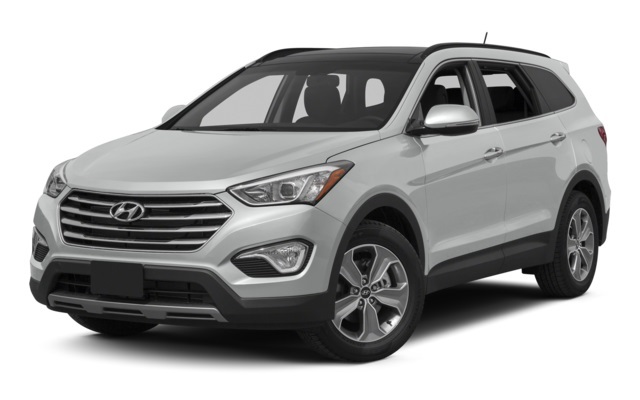 Also available is a rearview backup camera, rear parking sensors, a Blind Spot Monitoring System and Rear Cross-traffic Alert. 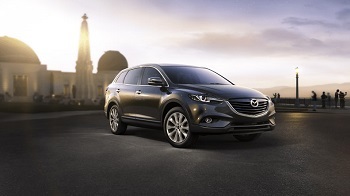 The 2016 Mazda CX-9 should see some minor design changes for the new model year. While specifics have not been confirmed, judging by models in the Mazda lineup already updated, like the Mazda CX-5, it is reasonable to speculate that this model’s new design should include bumper-integrated headlights, and a more fluid exterior design. It is believed that Mazda could also replace the current V6 engine with a more capable SKYACTIV® TECHNOLOGIES model or even a 2.7L Eco-type engine. 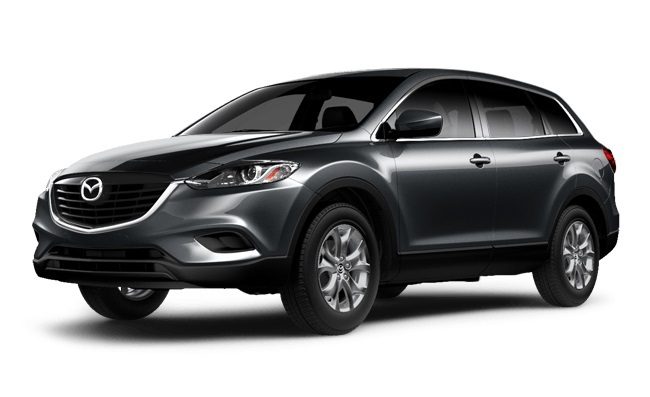 While no official 2016 Mazda CX-9 release date or price have been announced, it is safe to assume that drivers can expect to see it in late 2015 or early 2016, with prices starting near $32,000 for the base model and increase accordingly with other trims and options.